Today, but I am going to talk about a difficult topic. When our children go to school, we all want them to be happy and motivated. We want them to love learning, make friends, and keep growing in their abilities. But what if things don’t go well? 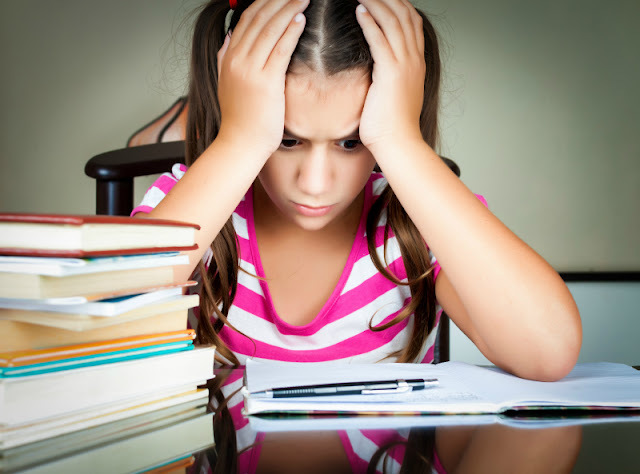 What if your children struggle in the classroom, report being bullied by classmates, say that the teacher is too strict or that they are bored? What if they develop mysterious stomachaches that disappear on weekends or beg you constantly to give up your job and homeschool? How do you help your children? Even though it’s tempting to swoop down and set things right, I recommend using CALM DOWN approach when advocating for your child. The only situation when I recommend an immediate intervention is when your child reports being bullied or you observe your child being bullied. So what does it mean to CALM DOWN? C – Craft your desired outcome. It’s best to spend some time envisioning specific changes that could improve your child’s school life. In our case my husband and I discussed at length as to whether or not we want to “skip” our child and decided against it. Instead we asked for math testing and a pull out into an appropriate grade level. A – Assemble your evidence. If your child is struggling in school but not at home, perhaps you could record him doing his work or reading. You might have to bring pediatric records if your child has a disability that requires accommodation or bring samples of her work done outside of school hours. L – Learn your rights and consider your options. Different countries and states have different rules on accommodating both struggling learners and gifted learners. You should also consider what you will do if your requests are not met – this could include negotiating a partial solution, looking at private schools, or homeschooling. M – Meet with your teacher first. It’s quite possible that your teacher is not aware of the situation – after all, he or she deals with many students of very different needs. If your meeting with your child’s teacher doesn’t bring results (our meeting resulted in Oh, Common Core allows differentiating students within the same curriculum, and we don’t do pull outs here), then schedule a meeting with a principal. D – Don’t get confrontational. You have to believe that your child’s teacher has your child’s best interests at heart. Also, don’t forget that a teacher is also human and is focused on his or her goals. Unfortunately, challenging advanced learners is simply not one of the goals our teachers are asked to meet. O – Offer help. I volunteer in the classroom weekly and help struggling students with math. This time spent in the classroom gave me new appreciation for my daughter’s and her teacher’s challenges as about 30% of her classmates fall far below expected level of the second grade. It is very understandable that her teacher needs to spend her energies getting struggling students to the level expected for the second grade. W – Write things down. It’s important to put things in writing, especially if you are trying to put an individual educational plan in place. We don’t qualify for IEP in California, but I still document our conversations, so we don’t need to spend a lot of time on bringing everyone back on the same page. N – Next steps. All parties need to be clear about next steps and timelines for them. Unfortunately, in our experience we discovered that reminders are needed to progress towards some sort of resolution and even then the progress is slow. At this point we are starting to consider what our alternative “next steps” might be if our “Distinguished California School” cannot accommodate a child who wants to know more than she is “expected to know” at her age. The last advice that I have is that while you are going through these steps, it is important to do it in a way that doesn’t directly involve your child or involves him or her as little as possible. We don’t want our daughter to know that we are unhappy with her school unless we are prepared to take her out. We also want her to continue to put forward her best effort in school. In the meantime we challenge her abilities at home and support her in every way we can.